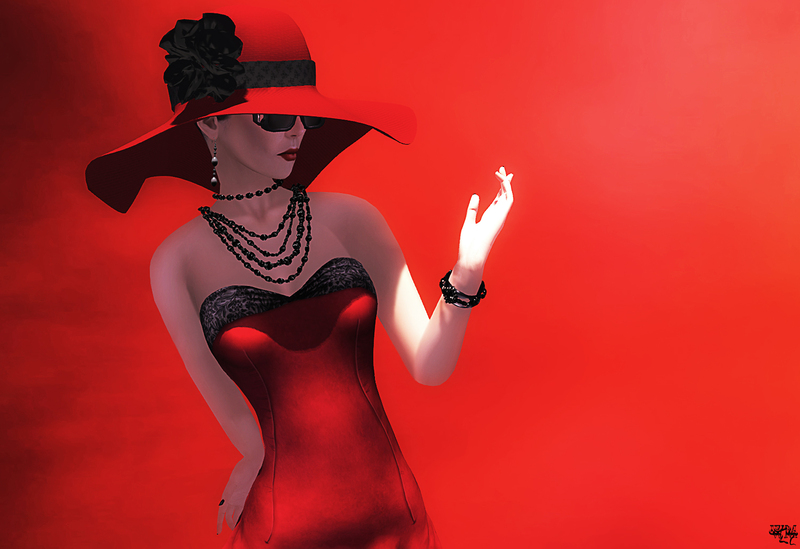 The wonderful floppy hat is a special version made for me by Baboom and for the jewelry I decided to go for the “Shameless” necklace and bracelet from Finesmith and some earrings where I do not even remember the label anymore as I have them in forever 😉 Since the Lady in Red always had something mystical for me I wanted to cover her eyes with some glasses that kinda hide them and I chose the “Cubism Shades” from epoque. There is things in the past what never will be the same again, but still the memories noone can take from you. 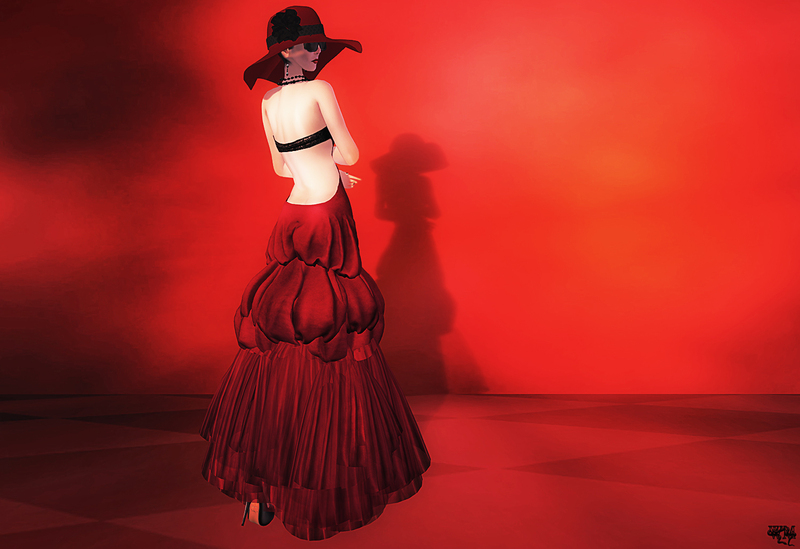 This entry was posted in Fashion, New Releases, Wicca's Wardorbe and tagged 3D, 3D people, Art, avatar, Baboom, Blog, Blogger, Chris de Burgh, Clothing, Couture, Dahriel, Epoque, Fashion, Fashion in Pixels, fashion poses, Female Clothing, female wear, Finesmith, Formal, formal attire, Hair, High Fashion, Jewelry, lady in red, Mandala, meta virtual, Miamai, Model, model pose, Model Poses, Modeling, Modeling pose, Modeling Poses, New, New Release, New Releases, News, photographer, Pixel Mode, PM, Pose, Posesion, Second Life, Secondlife, SL, SL Clothing, SL Fashion, SL Style, Style, Virtual World, Wicca Merlin, woman. Bookmark the permalink.